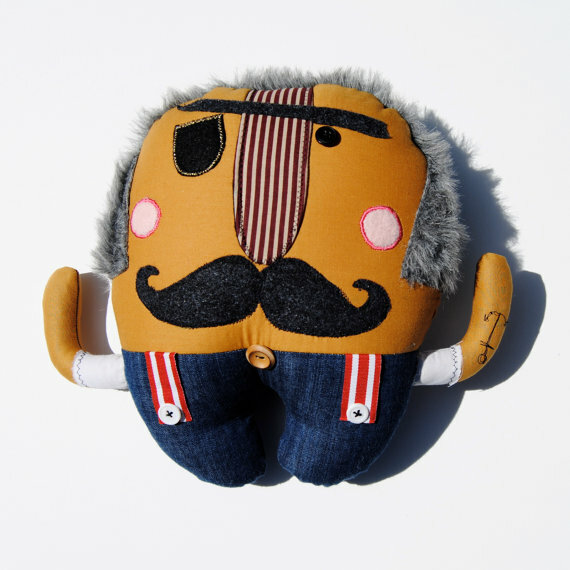 ionlylikemonsters: Pink Cheeks Studios Creatures! OMG! 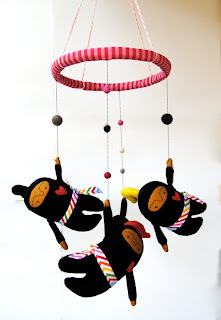 Ninja Mobiles! What could be better! 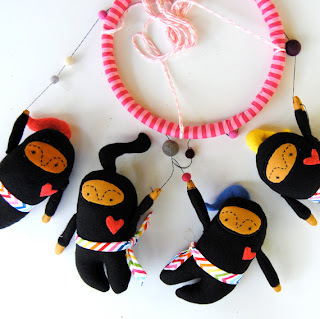 Little ninjas to fly around the ceiling and protect you or your little one! 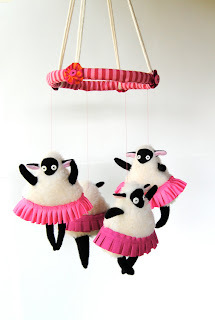 If ninjas aren't your thing, Pink Cheeks Studio also has sheep mobiles, and many other wondrous creatures too! Thank you so much for featuring my things! You are great! 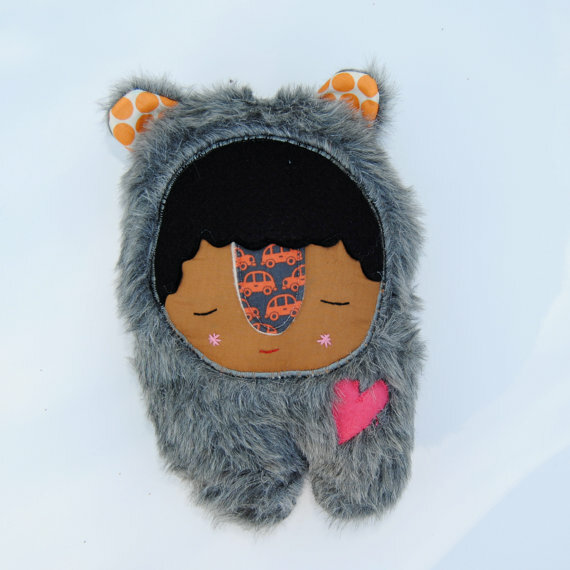 Loving monsters is a lovely thing to love. They need it. Thank you!